Nintendo fans might recall Code Name: S.T.E.A.M., a game that casts you as a task force founded by Abraham Lincoln in a steampunk battle against invading aliens. The strategy game from Fire Emblem and Advance Wars studio Intelligent Systems received minimal exposure at E3 earlier this year when it was first announced, but yesterday's Nintendo Direct presentation confirmed the release window of spring 2015 and spelled out more details of its gameplay. As mentioned above, aliens are invading an alternate universe Civil War era Earth and you are tasked with stopping them with the power of steampunk. American President Abraham Lincoln and an alliance with the British military join forces to put a stop to the invasion, and along the way, they recruit other anthropomorphic beings like lions to aid them in battle. Seriously, who came up with this game? They deserve a raise. As seen before, the game closely resembles Valkyria Chronicles and XCOM Enemy Unknown, placing the camera behind the backs of four controllable characters as they storm through a tactical map. Our heroes can battle with the power of steam, but each has a limited supply of the resource for each turn. Do you use it all and perform massive attacks against your enemies, or do you save it to counter attack them or even cancel their attacks out? Just one of many strategic choices you'll have to make in Code Name: S.T.E.A.M. 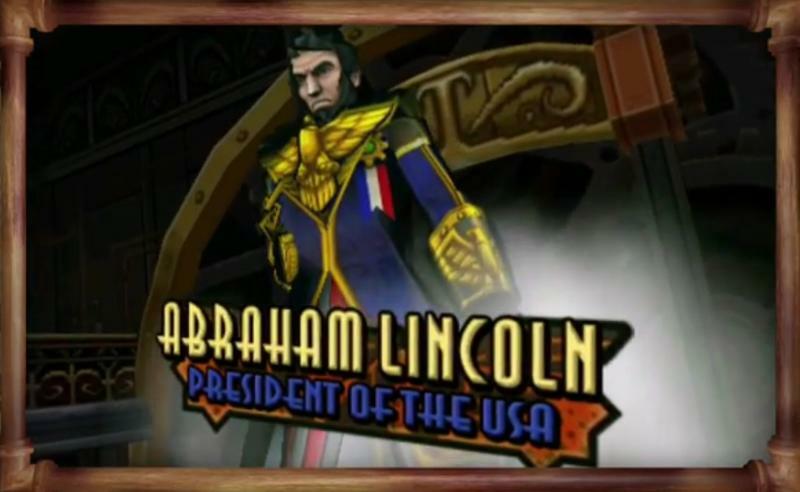 Nintendo also hyped the game's content, claiming that each unlockable character in the game has their own abilities, and you'll even be able to unlock President Abraham Lincoln himself to take into battle! Intelligent Systems always lives up to its name. Fire Emblem and Advance Wars are two of the best and brightest strategy franchises available on consoles, and I have little doubt Code Name: S.T.E.A.M. will be anything short of its normal standard. When developing Fire Emblem: Awakening, the team had teased the idea of taking the franchise into a new setting. That of course did not pan out, but maybe those ideas morphed into what we are seeing today. Never let those good ideas go to waste, kids. Code Name: S.T.E.A.M. will be released for the Nintendo 3Ds in both stores and the eShop in Spring 2015.